One of the things I like about having Taylored Expressions so close by is, I get to go to the New Release Party every month. She always has a make & take featuring one of the new products. This is the one we made for this month. 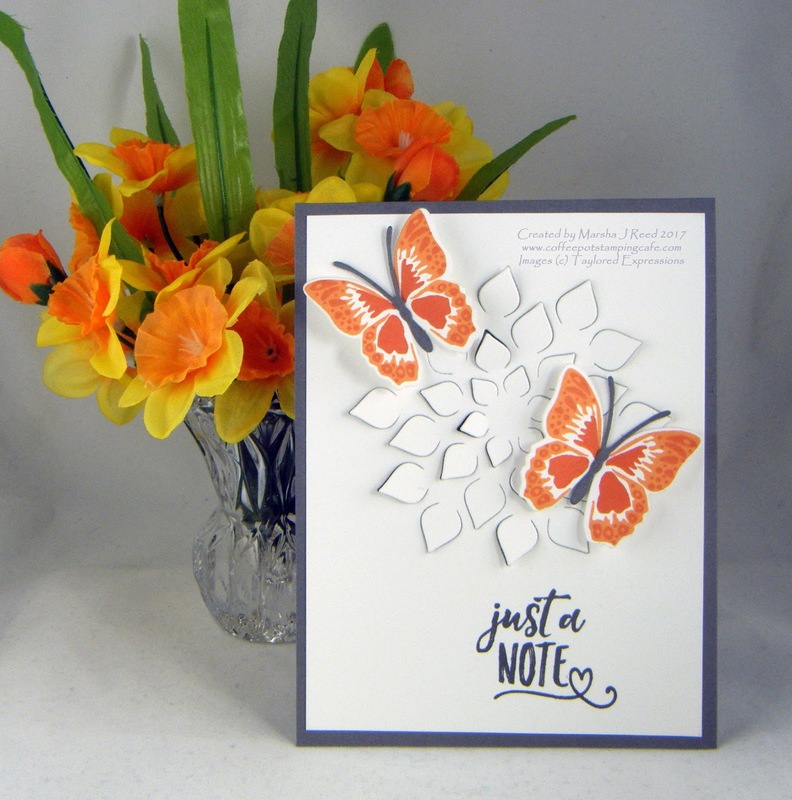 It uses the new Simply Stamped - Butterflies stamp set and the Simply Stamped - Butterflies Dies. Don't you think those butterflies are fantastic? I love that the bodies of the butterflies are also a die. The Full Bloom Dies was used on the layer of white. It's a simple design but so pretty. Don't you think? I entered my card in the anything goes challenge at Addicted to Stamps and More. For all the challenge details and to share your project, click the image below.